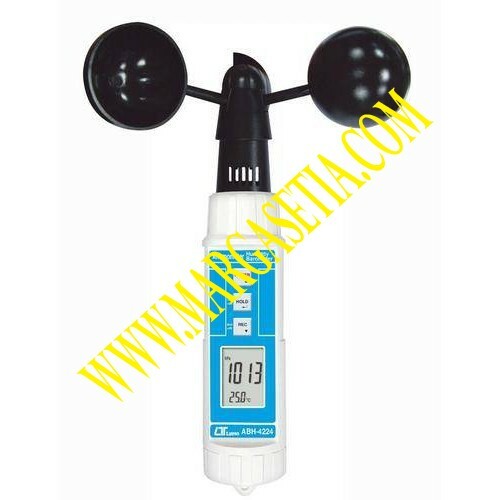 Lutron ABH-4224 Anemometer CUP ANEMOMETER/ BAROMETER/ HUMIDITY/ TEMP. CUP ANEMOMETER/ BAROMETER/ HUMIDITY/ TEMP. * Air velocity : 0.9 to 35.0 m/ s, ft/ min., km/ h, mile/ h, knots. * Hold, Record ( max., min.) . * DC 1.5V battery ( UM-4, AAA) x 4.